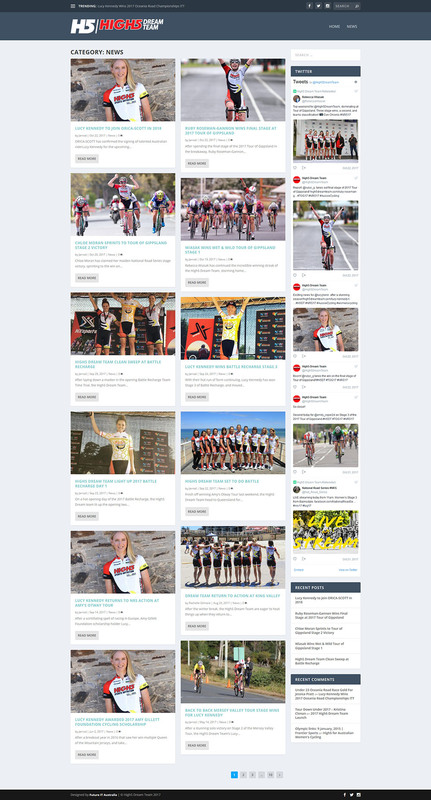 WordPress Website for Professional Women’s Cycling team. Primarily for the purpose of media releases and rider profiles for fans and followers. Includes feeds from their Facebook and Instagram social media profiles.